But what about lesser anniversaries? Think about it: there are plenty of cars with birthdays that slide under the radar every year. And some automotive endeavors don't even last long enough to warrant a proper milestone celebration. To that end, we're taking a look back to 2004 – just 10 years ago – to see what vehicles would be celebrating a decade of life, assuming they were still alive today. Do note, for this list, we've only included vehicles that launched for the 2004 model year, not calendar year. Have a look below to see both iconic and easily forgettable cars that would be celebrating 10 fruitful years in 2014... if they were still alive. What was it? – Toyota jumped on this whole "millennial" bandwagon long before the term even existed. Scion was the Japanese automaker's youth-oriented brand, and along with the boxy-cool xB, the xA sought to bring new buyers into the showroom with its low MSRP and "Pure Price" no-haggle policy, not to mention its seemingly endless customization options. The xA didn't really sell like hotcakes, and it was succeeded by the xD for the 2008 model year. That replacement never really caught on, either, and now, its future remains bleak. Do we wish it were still alive? – Maybe. We certainly like the idea of affordable subcompact hatches, but these days, plenty of other automakers are filling this space with well-thought-out products. But we still kind of liked the xA, when it launched. Kind of. Too bad it – perhaps like Scion as a whole – never really found success. What was it? – A slick Porsche roadster with a hearty 5.7-liter V10 mounted in the middle. 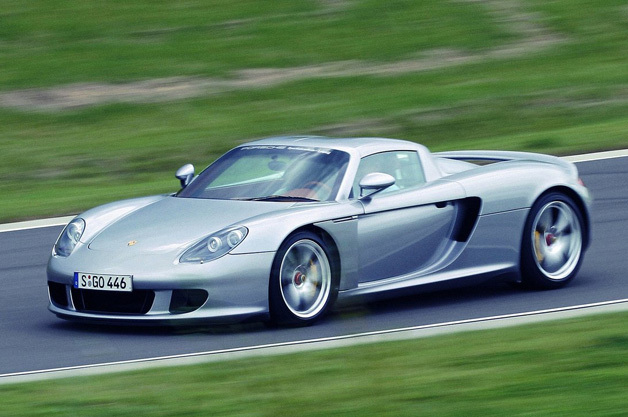 Despite only being produced for a couple of years (only 1,270 were built), the Carrera GT has become one of the most iconic supercars of modern times, and was recently back in the news during the unfortunate death of Hollywood star Paul Walker. It came packed with 612 horsepower, was able to hit 62 miles per hour in just 3.9 seconds, and topped out at 205 mph. Even by today's standards, that's some serious performance – stunning stuff back in 2004. Do we wish it were still alive? – Heck yeah. The lucky few who drove the Carrera GT have long praised its potent performance and respected its difficult-to-master manners. Today, Porsche has given us the electrified 918 Spyder, and impressive as it may be, the Carrera GT will still have a very special place in our hearts. What was it? – A rebadged Holden Monaro from Australia with decidedly banal styling. General Motors relaunched the historic GTO name for this rear-wheel-drive coupe, which was initially powered by a 350-horsepower 5.7-liter LS1 V8, an engine eventually scrapped for a more powerful, 400-hp 6.0-liter LS2 V8 in 2005. As for that styling, many folks declared it too conservative or anonymous (many comparisons about the GTO's rear end to that of the Chevy Cobalt were not unwarranted). 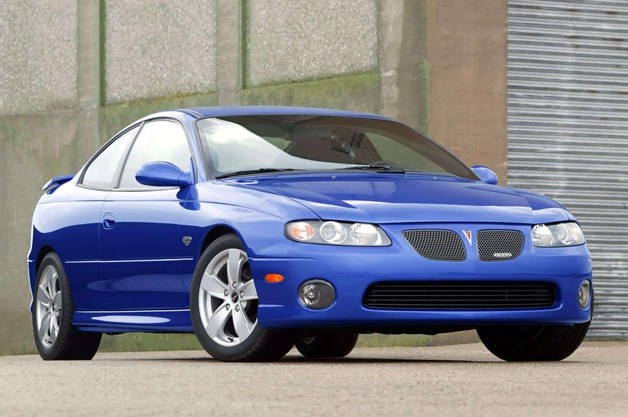 Due to lackluster sales and poor reception from the American public, the GTO went out of production in mid-2006. Do we wish it were still alive? – Not really. Following the GTO's death, General Motors gave us the rather excellent Pontiac G8 muscle sedan – another collaboration with its Australian arm at Holden. And even after Pontiac bit the dust during GM's restructuring, we now have the excellent Chevrolet Camaro if we want a two door and the SS if we want four doors. Both are well-tuned, properly potent rear-wheel-drive models with Holden performance roots. What was it? – A softer, more expensive, more complicated version of the Chevrolet Corvette. In fact, despite being on sale the same time as the C6-generation Corvette, the XLR was based on the older C5 model. It featured a novel-for-the-time retractable hardtop, and loads of standard luxuries. 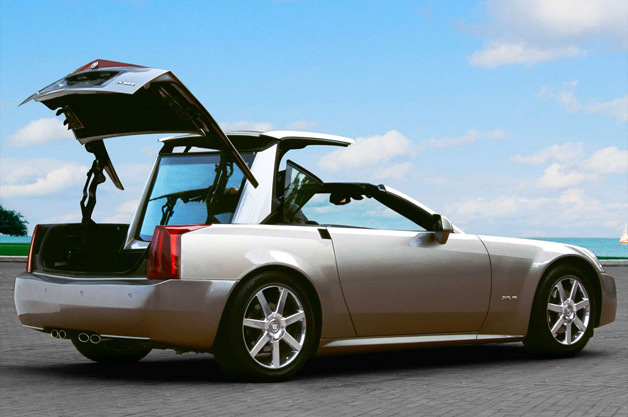 A hotter XLR-V joined the lineup in 2006, with a supercharged 4.4-liter Northstar V8, producing 443 horsepower. But at the time, it was also one of GM's most expensive vehicles – near the end of its life in 2008, the XLR-V retailed for a staggering $101,300. Do we wish it were still alive? – Nope. If we want a Corvette, we'll buy a Corvette. Besides, we currently have another overpriced Cadillac-reengineered version of a well-liked Chevy to contend with. What was it? – Despite having bold styling, the Crossfire was plagued with old bones. Launching for the 2004 model year, it was based on the Mercedes-Benz R170 platform that underpinned the first-generation SLK roadster. With that came old-world technologies like recirculating ball steering (pretty much everyone else had caught on to rack-and-pinion by this point). Chrysler may have been responsible for the interior and exterior styling, but everything else was straight-up Mercedes SLK. 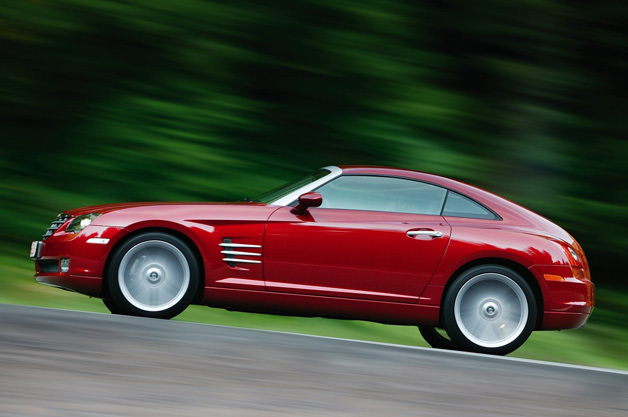 Even the hotter Crossfire SRT6 featured the supercharged AMG engine found in the SLK. The Crossfire was plagued by extremely slow sales and was killed off after the 2008 model year. Some even found their way onto Overstock.com as part of a promotional effort. Oh, the humanity. Do we wish it were still alive? – No way. It looked unique, sure, but that styling was purely love/hate. Dynamically, there wasn't anything to write home about, and at the end of the day, you'd likely have been better off just buying a used SLK, offering the exact same experience. What was it? – The last of Mazda's rotary-powered production sports cars. 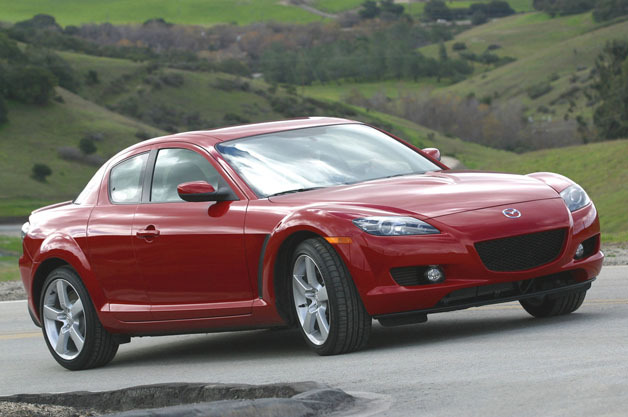 The RX-8 followed in the footsteps of the storied RX cars from decades before, and was powered by a Wankel rotary engine. This high-revving, high-strung mill was an absolute joy to use, but proved problematic for many owners (the joke is that this thing drank oil as often as it did fuel). That said, we always praised the RX-8 for its excellent dynamics and surprisingly functional suicide-door and two-plus-two layout, expensive as it may have been. Do we wish it were still alive? – You bet. Mazda is building truly great-driving cars these days, and the RX-8 would be right at home in the company's current lineup, if only there were a business case for it. Of course, rumors of a replacement continue to swirl, so it might not be long before we have a rotary-powered successor to enjoy. What was it? – Ferrari's second aluminum-bodied sport coupe, following the 360 Modena. It was a properly beautiful Grand Tourer, with a two-plus-two arrangement and a 5.7-liter V12 underhood. It was one of the last of the classically designed Ferraris, with many critics saying the new cars have taken a more aggressive, ferocious approach. 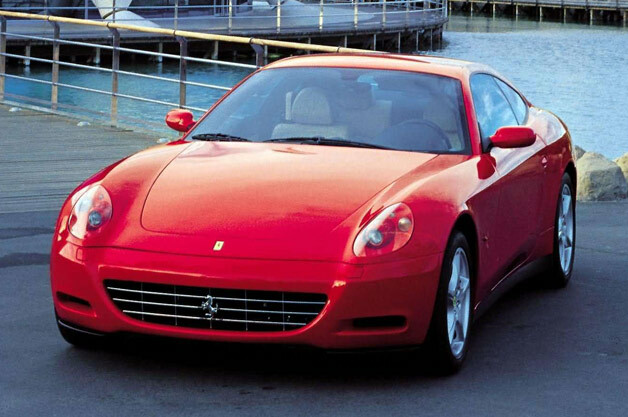 Ferrari discontinued the 612 Scaglietti in 2011. Do we wish it were still alive? – Yes and no. We miss the beauty of cars like the Scaglietti, but Ferrari has since graced us with its de-facto successor, the F12 Berlinetta. With similar V12 force, rear-wheel drive and stunning handling, the F12 hardly leaves us wanting and proves to be a better all-around performer. What was it? 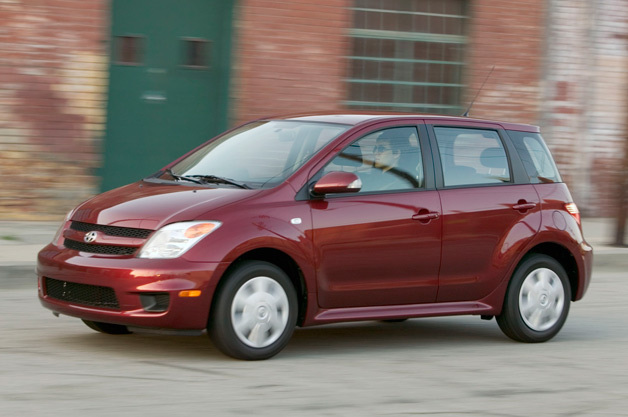 – A dreadful little subcompact from the not-so-great days of General Motors. The Aveo was cheap, but hardly cheerful. It looked dumpy, had a poor-quality interior, and was downright horrible to drive. The Aveo, built in Korea by GM's Daewoo arm, later spawned the short-lived Pontiac G3. 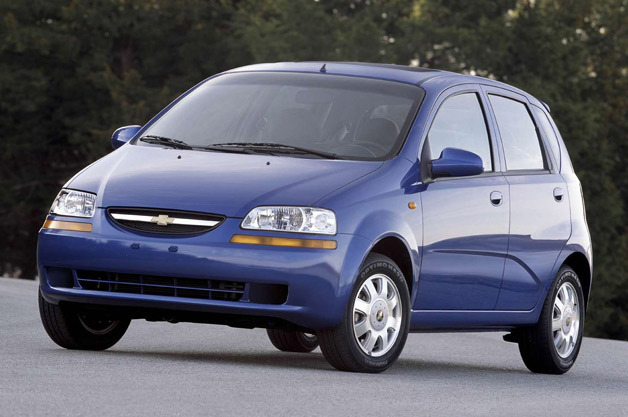 And while the Aveo name may technically live on in other markets, GM decided to rebadge it as the Sonic in the US, perhaps washing the bad taste of its predecessor out of our mouths in hopes of relaunching its small car initiative here in our market. Do we wish it were still alive? – It still is, sort of. The Sonic continues to thrive, and is one of the better small cars that GM has produced to date. The Aveo is dead! Long live the Aveo! What was it? – A proper Blue Oval supercar. This mid-engined stunner paid homage to Ford's GT40 racecars of the 1960s, and it was simply amazing. It used a 5.4-liter supercharged V8 and a six-speed manual transmission, and was heavily praised by even the most famously finicky of car critics, including Jeremy Clarkson. To this day, it remains a true performance icon, and sells on the used market for well over its original starting price. Do we wish it were still alive? – Yes. A thousand times, yes. When Ford killed the GT, it gave us the Mustang-bodied Shelby GT500, which while great (and now packed with 662 horsepower) just wasn't the same. 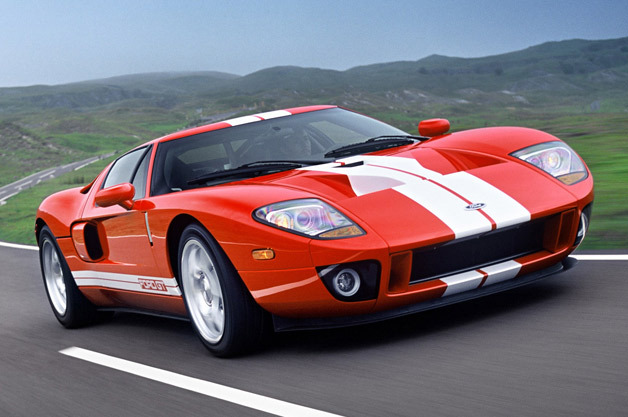 We'd absolutely love to see a GT redux, and soon. UPDATE: We mistakenly wrote that the Chevrolet Corvette turned 50 years old last year, when in fact it celebrated its 60th birthday in 2013. Also, the Ford Mustang celebrates its 50th anniversary this year, not in 2015. Further, the Ferrari F12 Berlinetta is a two-seater, not a 2+2. The text has been adjusted.